Most people know a little bit about wills. In the media, the will is what helps a family know who gets what assets and how the deceased wishes to be buried. However, these types of wills are not the only reason why estate planning is important. Although divvying up possessions and your burial plans are certainly an important part of your estate plan, a living will is also an essential part of an estate plan. Living wills help to decide things like guardianship of children should you become unable to care for them, medical decisions, and even current monetary issues. Here’s why setting up a living will is so important no matter what age you are or what your situation in life. A living will is also be called an advance directive. This means that if you are unable to make decisions for yourself (like if you are in a coma or a similar state of impaired mental capacity), your estate plan can make those choices for you, including options for medical treatment. It removes the burden of choice from close family members. For example, your spouse or parent won’t have to make the decision about whether or not to donate your organs or take you off life support if your living will provides direction in these areas. These choices can be hard to make under the pressure of grief and financial stress. Your own desires still take precedence when you have no voice. 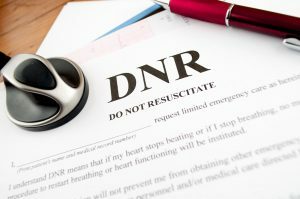 For example, if you do not wish to be resuscitated, the care provider will have to honor those wishes as set by your legal will, despite the desires of any other person. Your estate attorney can give suggestions for specific medical decisions to be in your living will. If you have a career where injury is more likely or if you might be exposed to greater risk, then you may wish to be more specific about medical situations and what should be done. If you are alive but not conscious, you cannot of course sign legal documents yourself or make any legally binding decisions. Some people choose to choose a person to have power of attorney over their affairs in a living will. Usually this person is a close and trusted family member like a spouse, parent, or child who has reached the age of majority. Somebody with power of attorney can make changes without your express consent, but that is not always a bad thing. For example, if you have your own company, the person with power of attorney needs to be able to handle your affairs in your absence. Your estate plan can include details about how you expect the power of attorney to be used. The person who has power of attorney may also be able to make medical choices for you that aren’t stipulated in your will, including agreeing to surgeries and medications. If you have dependents, you can set expectations for temporary guardianship in the event you are incapacitated. You might wish for children to stay with a family member or a close friend. Sometimes, these instructions can’t always be followed, but having a plan in place can make placing children in temporary care easier. You might even provide direction for the care of your home and how to pay for bills until you are recovered enough to handle your own affairs. Every estate plan should have a last will, where you set your affairs in order to prepare for your death, but you also need to make sure that your family will know what to do if you are still alive but unable to communicate. Talk with us at Ivy Law Group for more information about estate plans.